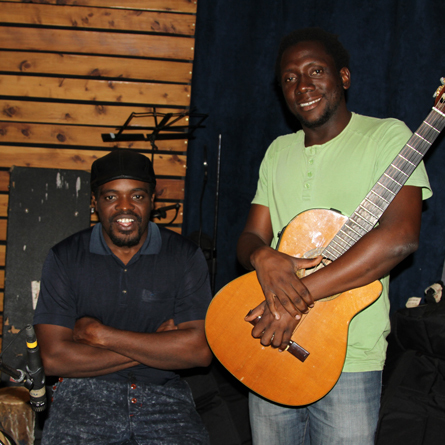 Leo Mkanyia is a singer, songwriter, composer, arranger and a multi instrumentalist. He plays the xylophone, various percussion and the harmonica, but his instrument of choice is the guitar. Leo is also a guitar tutor. Born into a family of musicians, Leo has been playing music for over 20 years. 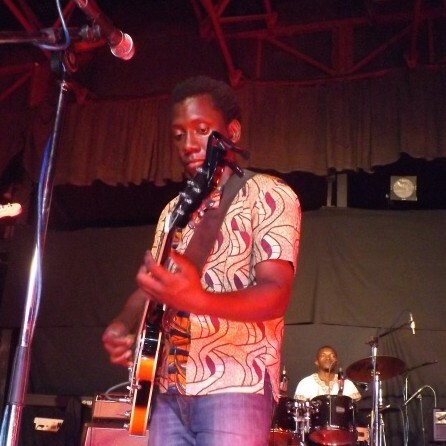 He was first inspired by his father, Henry Mkanyia, a well-known jazz guitarist in Tanzania who was playing with the legendary DDC Mlimani Park Orchestra when Leo was growing up. Leo began practicing music when he was eight-years old. He would copy chords by watching his father play, and later steal his father’s precious instrument and practice. Though his father never encouraged him to learn the trade, Leo was determined and encouraged by his mother. It wasn’t until Leo was 12 years old that his father found out that the boy was stealing his guitar and had by then learned how to play it. Impressed by Leo’s persistence, he finally took his son under his wing and taught him the secrets of the trade. Thereafter, Leo joined several different bands and continued to develop his music and performance. In the process he also learned how to make and play his own percussion like the djembe, tumba and the xylophone. Leo later decided to develop his own sound and style of music. He travelled around Tanzania researching on traditional dances from different tribes including the Makua, Wayao, Makonde, Gogo, and Sukuma. 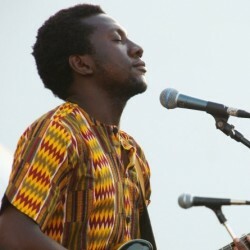 He discovered that Tanzanian traditional music was rich in rhythm and melody and had a “bluesy” feel to it. 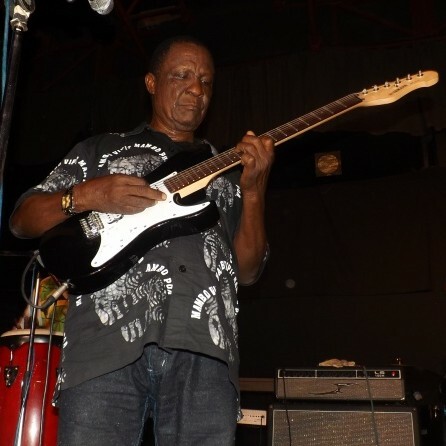 This inspired Leo to develop his own modern style rooted in these traditional sounds but using contemporary arrangements, which he calls, Swahili Blues. 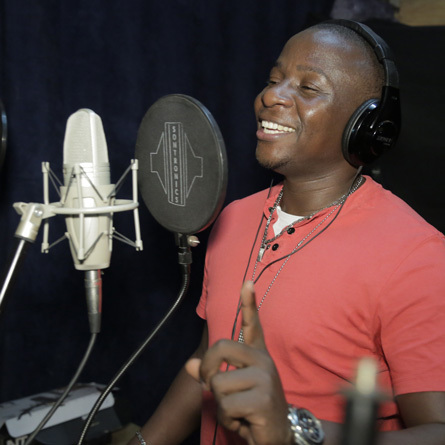 Leo has currently finished recording material for his latest album titled ‘Bangili,’ produced by Tabu Osusa and recorded at Ketebul Music Studios in Nairobi, Kenya. 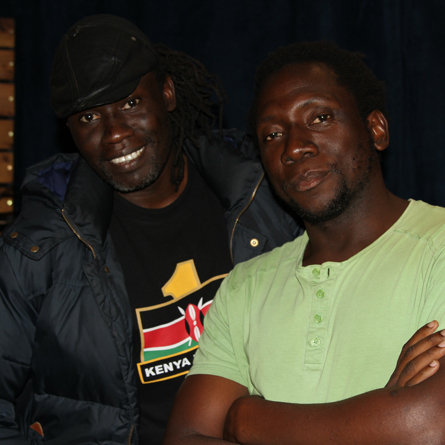 The album features several other musicians such as Winyo, Makadem, Juma Setumbi and Nyota Ndogo among others. Bangili is set for release later this year. 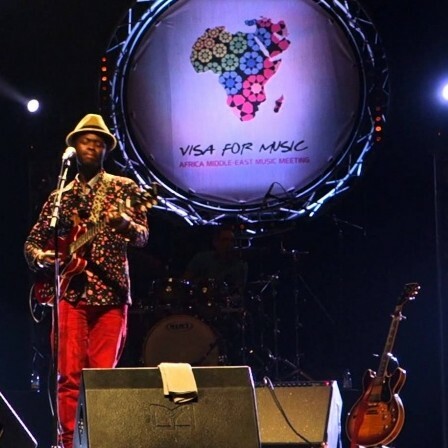 Ketebul Music Founding Director Mr. Tabu Osusa has been appointed as the Country Representative for Kenya in the third edition of Visa For Music (VFM) which will be held from the 16th to 19th of November 2016 in Rabat, Morocco. 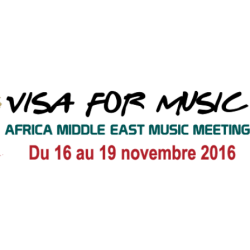 Visa For Music is an annual Africa Middle East Music Meeting whose aim is to foster the development of a music market in Africa & the Middle East, highlight emerging artists, offer a suitable environment for creativity and mobility and contribute to the structure of the cultural and artistic sector. As Country Representative, Tabu Osusa will enhance Visa For Music’s operational activities in Kenya, maintain and improve relationships with stakeholders in music, media, culture and government sectors as well as help improve productivity, efficiency and surpass VFM’s goals. The meeting serves as an essential and major meeting place for professionals of the music industry at large. Heading the musical sector towards new challenges of regional and international dimensions through seminars, training and expertise exchanges with professionals of the world. According to the Luo community of Western Kenya, the name Anyango is given to a girl born in the morning, usually around 10 am. 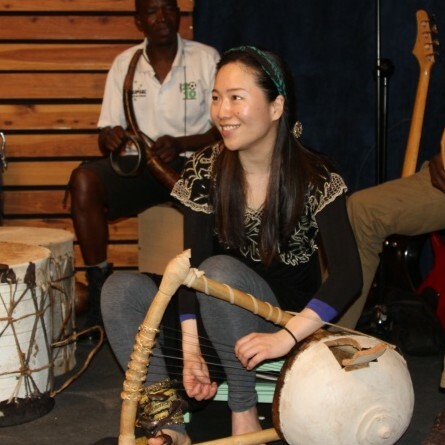 Eriko Mukoyama, a young Japanese artiste and the first female nyatiti player in the world identifies with this name, and is so known by her fans. She was given the name by her nyatiti master, Okumu K’Orengo. It just happens that she was actually born in the morning! Over the years Anyango has been closely associated with Ketebul Music, both socially and business-wise. 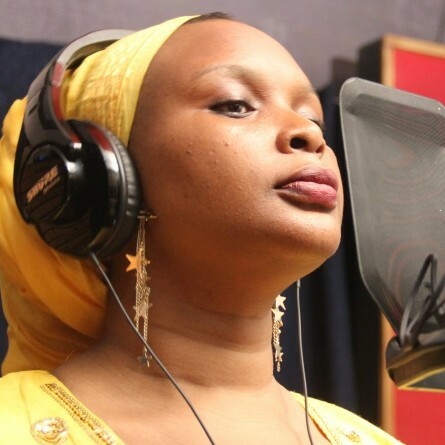 Apart from her beautiful voice and her incredible nyatiti playing skills, she possesses a lively and jovial spirit, always surprising people by her ability to speak Swahili and Luo. On the 16th of February 2016, Anyango paid us yet another visit. This time, the aim was to sign a distribution contract with our organization. This basically makes Ketebul Music her official agents in Eastern Africa. Ketebul Music is now Anyango’s official representative and distributor in Eastern Africa. During her visit we also worked on a compilation called Anyango! The Safari of Eriko Mukayama. This compilation comprises 15 songs, 2 of which are new, recorded at Ketebul Music Studios in 2015. 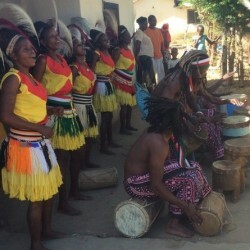 One of the two songs features Kenge Kenge, a traditional band from the Luo community. 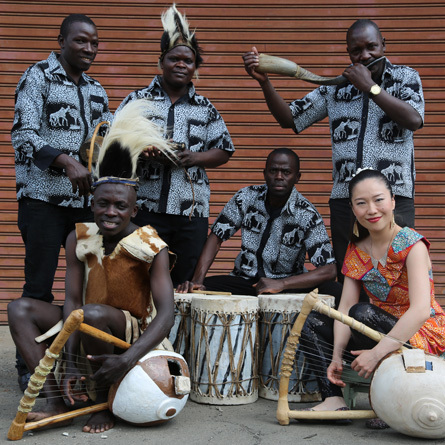 The band is made up of young musicians singing in the benga rhythm. 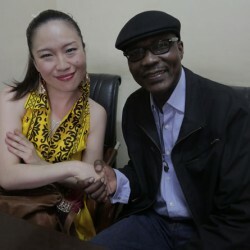 Anyango will be coming back to Kenya mid this year for a series of shows to promote the new album. We at Ketebul Music, wish to pay tribute to the legendary Jackton Malenya who died on the 13th of March, 2016. Mr Malenya met his tragic death when he was assaulted by unknown people on his way home late that evening. 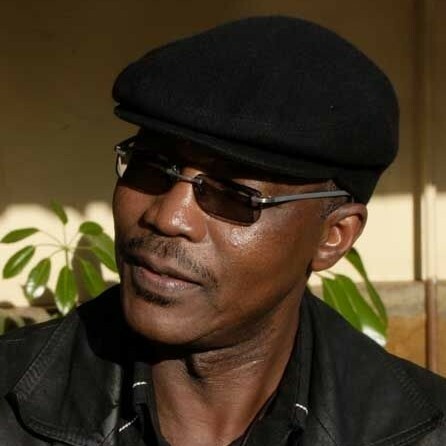 He is well known for the hit song “Mtoto si Nguo” which he sang with George Mukabi. The song was recorded in the 1960s. Malenya was buried on the 29th of March in Buyangu, Bunyore in Vihiga County. Jacktone Malenya was born in Kisa West in Kakamega, Western Kenya. Malenya’s father was a reverend in the Church of God, Kima Mission. He encouraged Malenya to join the church choir, where he learnt to play the guitar. However, he discouraged his son from joining a band. Soon after, Malenya teamed up with a childhood friend who hailed from the same neighborhood, George Mukabi, and they secretly started experimenting with secular music. In 1957 they decided to move to Nairobi in search of new opportunities. Within that same year they found work with the East African Railways, Malenya working in the supplies department while Mukabi worked as an office messenger at the Railways Training School. Since they were both allocated houses at the Railways staff quarters in Makongeni estate it became convenient for them to meet and practice at the Makongeni Social Hall. Malenya, who had better education than Mukabi, composed and wrote most of their initial compositions, with Mukabi playing the lone guitar. Their first record, ‘Kweli Ndugu Sikilizeni’, with ‘Sengula’ on the flip side, was cut at African Gramophone Stores (AGS) studios in River Road in 1957. Their main competitors were the Jambo Boys, made up of Fundi Konde, Daudi Kabaka, Edouard Masengo and Fadhili William. Subsequent recordings were made at AP Chandarana, CMS, Andrew Crawford and a few other studios around town. 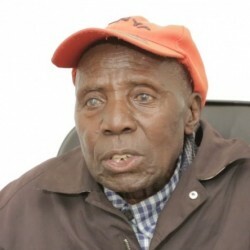 The duo achieved a lot of success with their music until tragedy struck in 1963, when Mukabi succumbed to wounds he received during a violent confrontation with his in-laws in Kakamega. After Mukabi’s death Malenya teamed up with his cousin Peter Akwabi, who was then a student at Butere Boys School, and continued recording. But just like Mukabi, Malenya’s life ended tragically when he was attacked by unknown people on his way home late that evening. 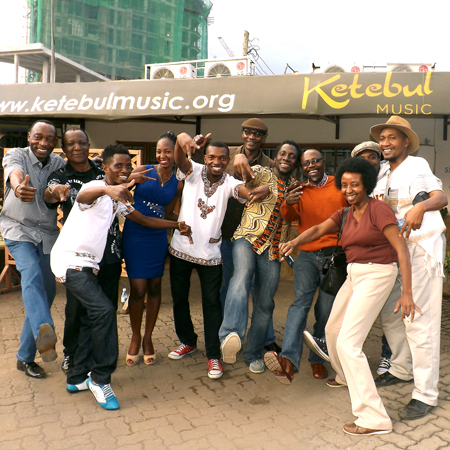 Ketebul Music and Alliance Française de Nairobi have been long standing partners in the project ‘Spotlight on Kenyan Music,’ which promotes and develops musical innovation that is rooted in diverse musical traditions of Kenya. To date, the Spotlight program has released 6 compilations. 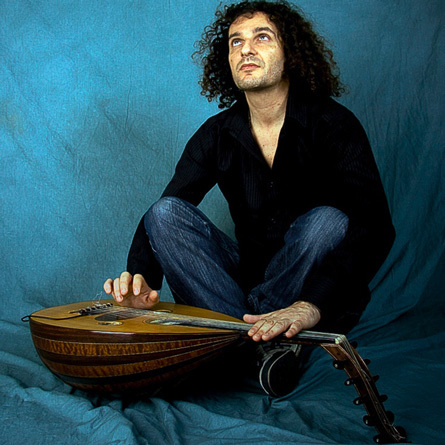 These recordings continue to serve as a bridge linking tradition and modernity. In the month of May 2016, starting 9th -14th, Ketebul Music and Alliance Française de Nairobi will team up on a creative music workshop project; with the working title Oud Meets Swahili and Mijikenda Music. 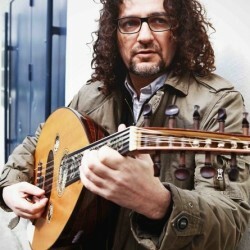 This project will bring Kenyan artists from the Swahili and Mijikenda cultures of the Kenyan coastal region to collaborate with the Franco-Tunisian oud maestro, Jean-Pierre Smadja, alias Smadj to compose, perform and produce music that will engage with the audiences. 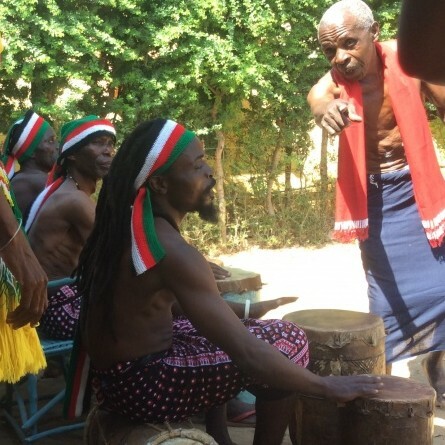 This project intends to help uncover the link between the oud and the music from the Swahili and Mijikenda cultures found on the Kenyan coast. 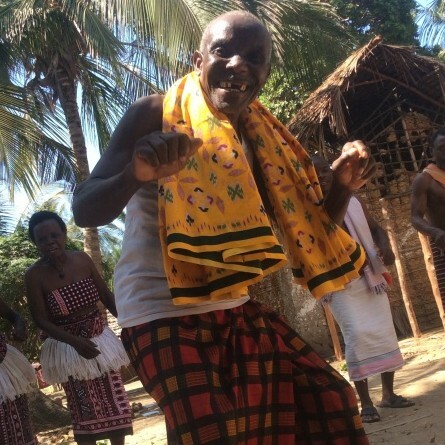 Smadj will be joined on this project by taarab singer Mwanate Kibwana from the group Lelele Africa and mwanzere singer Mohamed Said Ngana, better known as Bado, the son of legendary mwanzere singer Nyerere wa Konde. The project, which is supported by the Instut Francais under their IFPROG umbrella, will feature a 3 day creative workshop which will culminate with 2 days of studio recording of the material generated at the workshop, and a 2 hour show at the Alliance Française de Nairobi gardens on the 14th of May 2016. IFProg is a digital platform for cultural and artistic projects taking place abroad to deposit them in the annual device support of the French Institute. More details on participants and schedule of the project will follow in due course. 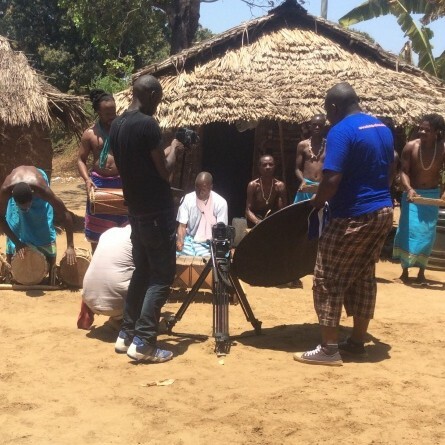 The Ketebul Music crew has been in Mombasa, a city on the coastal region of Kenya since 20th of February 2016, on a quest to retrace music from that region. 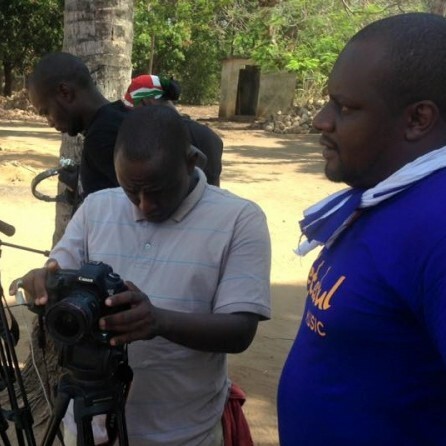 The aim of this trip is to prepare a 13-episode TV show that will be aired on a local media. This show will focus on the different styles and genres of music from the region, including both traditional and new generation music. The show aims to showcase a contrast between 12 traditional and 12 modern musical groups. Within the two-week period the team, together with Diane Thram, Director of International Library of African Music (ILAM) will also repatriate music recorded earlier by ILAM exclusively from the coastal region. 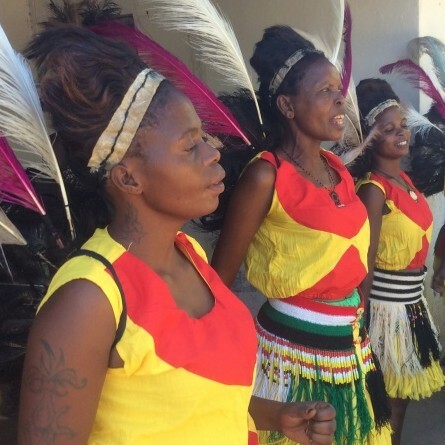 Other than intensive interviews of both music groups , their audiences and instrument-makers, the show will also present live performances by both modern and traditional groups from the coastal region.